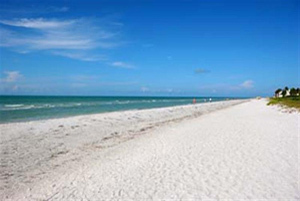 Sanibel Island Real Estate, Captiva Island Real Estate - Sanibel Island! Always a winner! Sanibel Island! Always a winner! 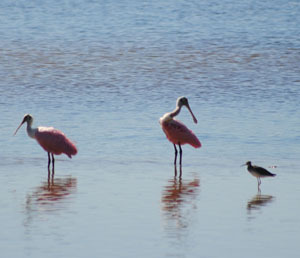 Living on Sanibel Island we sometimes forget to notice how special our islands are to the outside world. We are always winning awards or being named as #1 in beaches, fishing, shelling, vacations, and so on. Over the years we have been mentioned in articles all over the world. Of course it doesn't seem like news to those of us who live here... we know how wonderful Sanibel Island and Captiva Island are! Our Chamber of Commerce recently published a list of a few awards our Islands have received. I'll post a few of them at the end of this blog. I recently put together an online survey to see what my friends and clients would pick for their favorite island place. When I asked what beach is a favorite, it seems the beach at "Access 7" located on West Gulf Drive is the favorite choice! Parking is restricted and limited, but easy to access by bike. Another favorite (came in as a strong second) is Bowmans Beach off Sanibel-Captiva Drive. I have a tough time picking my favorite beach. Some days I think Blind Pass beach is the best, but during our busy winter season I think I like the limited access beaches off West Gulf Drive. It's a tough choice when you have over 20 miles of beach to chose from. In my survey I also asked for favorite bike ride, and favorite island restaurant. I'll post the results of those in upcoming blogs. Sanibel Island and Captiva Island always have something to offer, and many times we get chosen as "best" in a survey. Not bad for a tiny area located in Southwest Florida! As for local news and current things to do on the island, you can always pull up the calendar at our Chamber of Commerce website. From education, to tennis, to our 10th annual "Pirate Fest," there is always something fun to do! While on the islands you might as well put me to work looking for your perfect place in paradise! This is a great time to start your Sanibel real estate search. Just let me know your criteria and I can gather a list of properties that fit your needs. 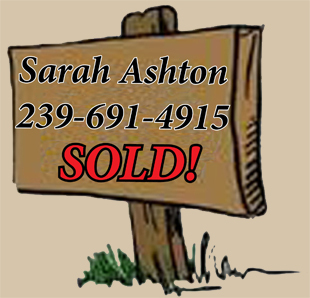 Whether a condo, home, or homesite, I know my islands and I can help you find just what you want. Call me Today! If you want to start your real estate search on your own, I have the best search feature on my website. You can search by map, price, size, or any other criteria that's important to you! Click Here to give it a try! 2010 – The Travel Channel – selected Sanibel as “Best Shelling Beach.” Among the rare shells collected here are the brown speckled junonia, sculpted lion’s paw, coveted golden olive, golden tulip and Scotch bonnet. Live shelling is prohibited on our beaches.